A preparation of mild spices with fresh cream butter is used to create a delicate flavour and creamy texture. A suitable dish for the beginners of oriental curry. Kashmir Chicken £9.95 – Cooked in mild sauce with mixed fruit. 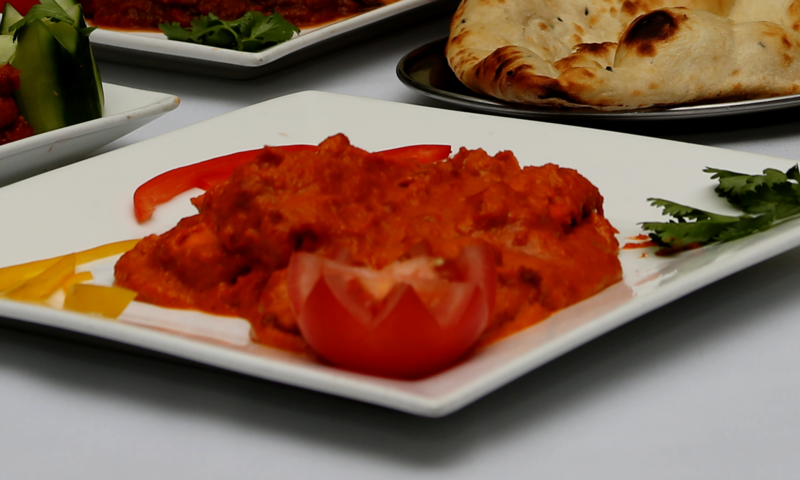 Kashmir Lamb £9.95 – Cooked in mild sauce with mixed fruit. A briskly fried preparation of fresh onions, black pepper, dhania, cinnamon, bay leaves and cardamoms that produces a delicious taste at a medium strength. A combination of spices and fenugreek flavour. Medium hot. Curry, Madras, Jeera, Ginger, Vindaloo, Rogan Josh, Dansak (lentils) and Patia dishes are also available. Please ask for details.